The most comprehensive biography of Barry Goldwater ever written is back by popular demand with a new foreword by Phyllis Schlafly and an updated introduction by the author. Lee Edwards renders a penetrating account of the icon who put the conservative movement on the national stage. 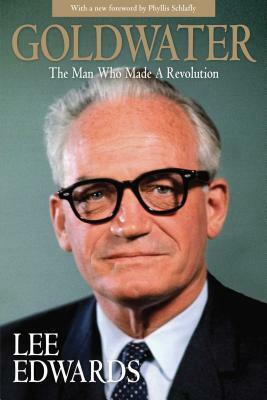 Replete with previously unpublished details of his life, Goldwater established itself as the definitive study of the political maverick who made a revolution. Lee Edwards, PhD, is a Distinguished Fellow at the Heritage Foundation, chairman of the Victims of Communism Memorial Foundation, adjunct professor of politics at the Catholic University of America, and veteran of Goldwater's 1964 campaign for the presidency. He lives with his wife in Alexandria, VA.